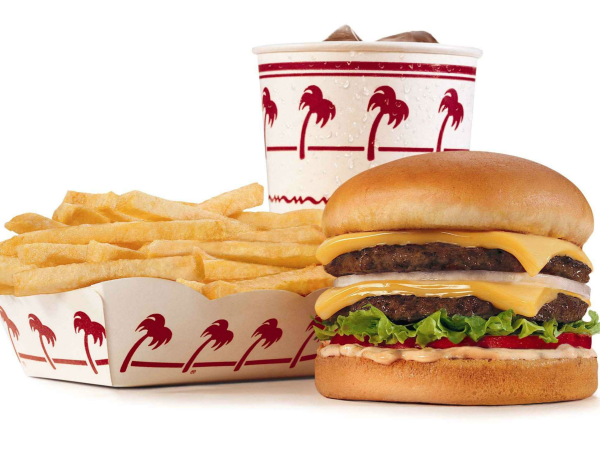 Whether they know it or not, Houston burger fans have been looking forward to February 28 for almost two years. 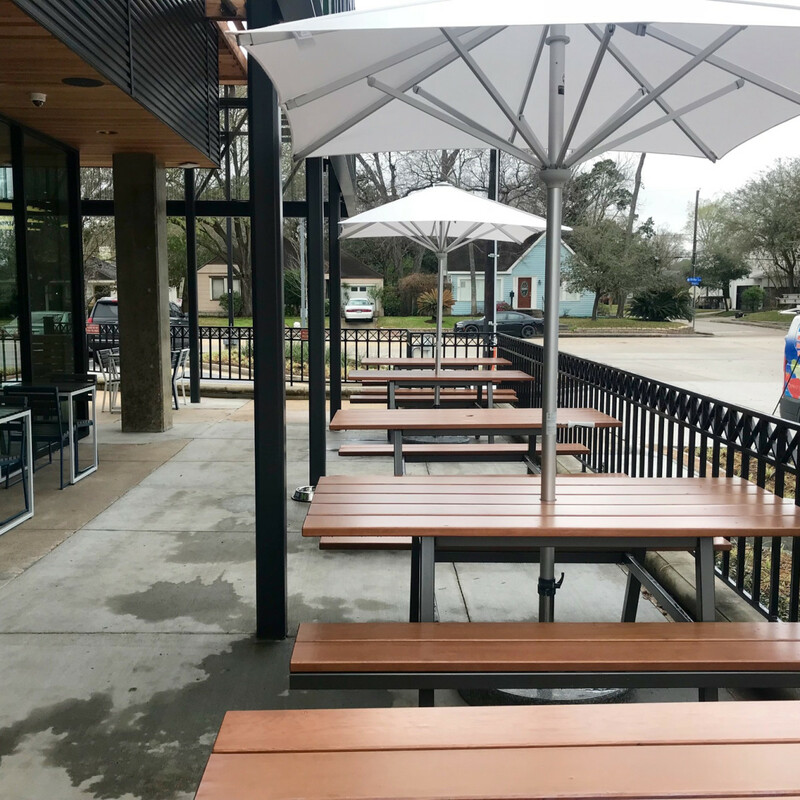 The city's second Shake Shack (or third, counting the part-time location in Minute Maid Park) opens to the public in Rice Village. 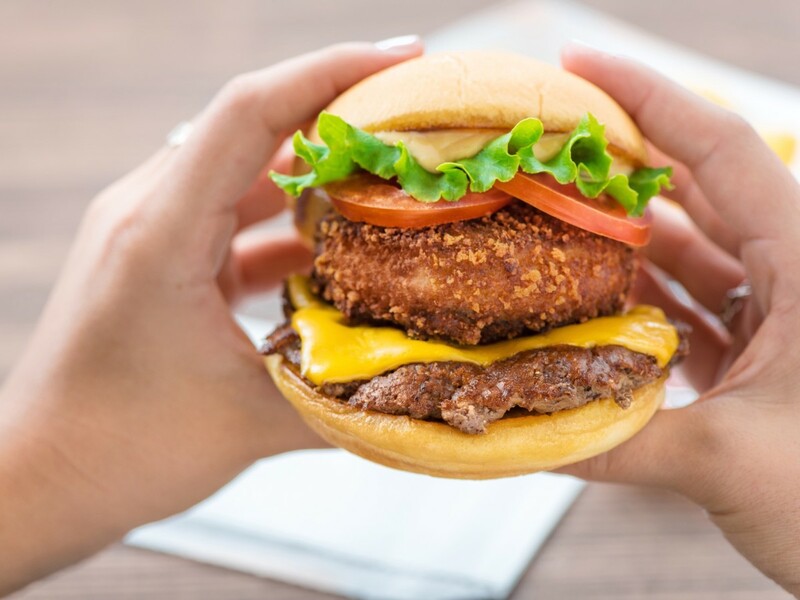 It's been almost two years since Trademark Property Co announced that the New York-based burger juggernaut would replace La Madeline at the corner of Amherst St. and Kirby, and almost a full year since the fast casual French restaurant shuttered to make way for Shake Shack. 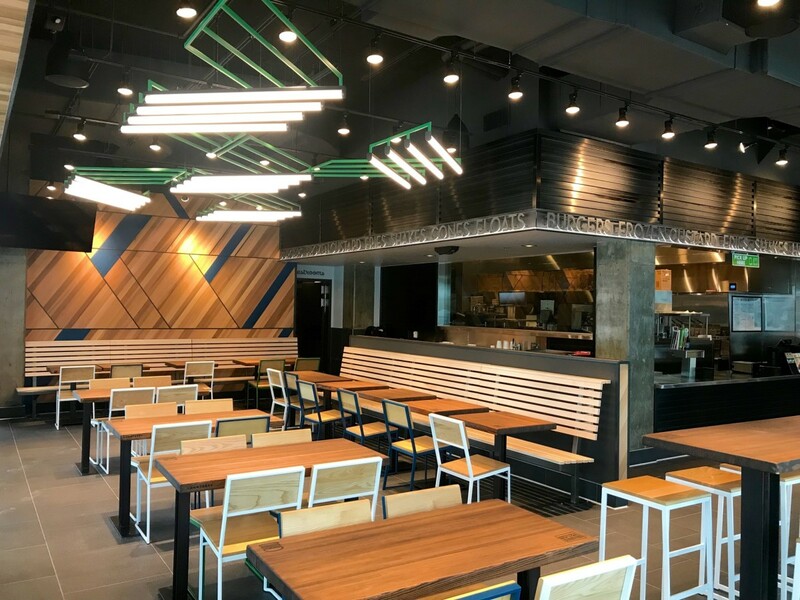 Visually, the new restaurant matches the look of Houston's first Shack that opened in 2016 in The Galleria, but the Village location's patio will give it a larger capacity. 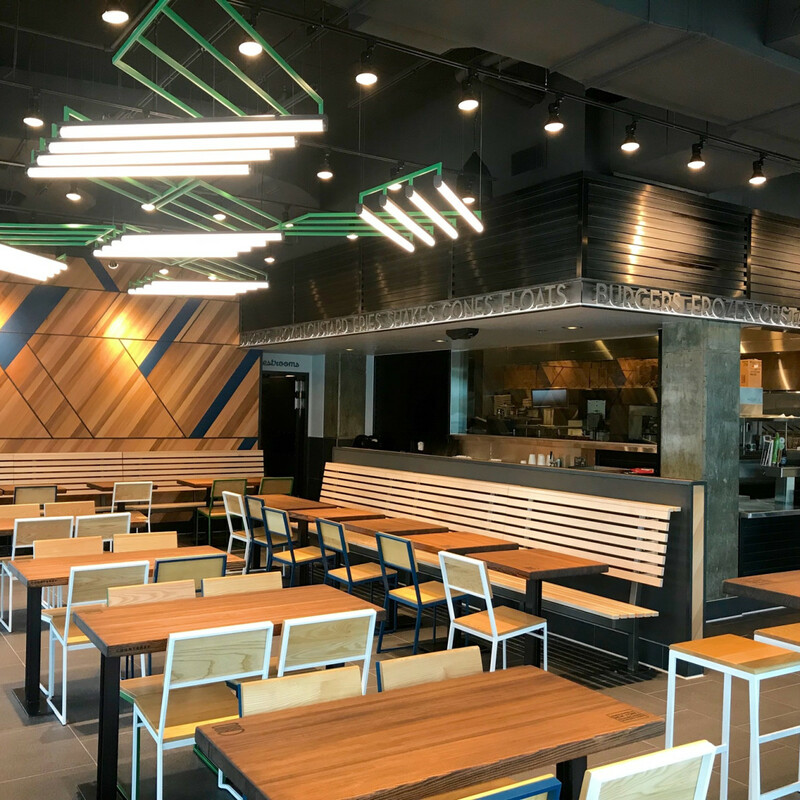 Inside, diners will find the familiar reclaimed wood tables and chairs made with sustainable materials. Parking should be easier that at The Galleria, too. The lot in front of the restaurant is metered ($2 for two hours Monday-Thursday, $4 Friday-Sunday). Those who don't want to pay may park for free at either of two nearby garages for up to two hours. 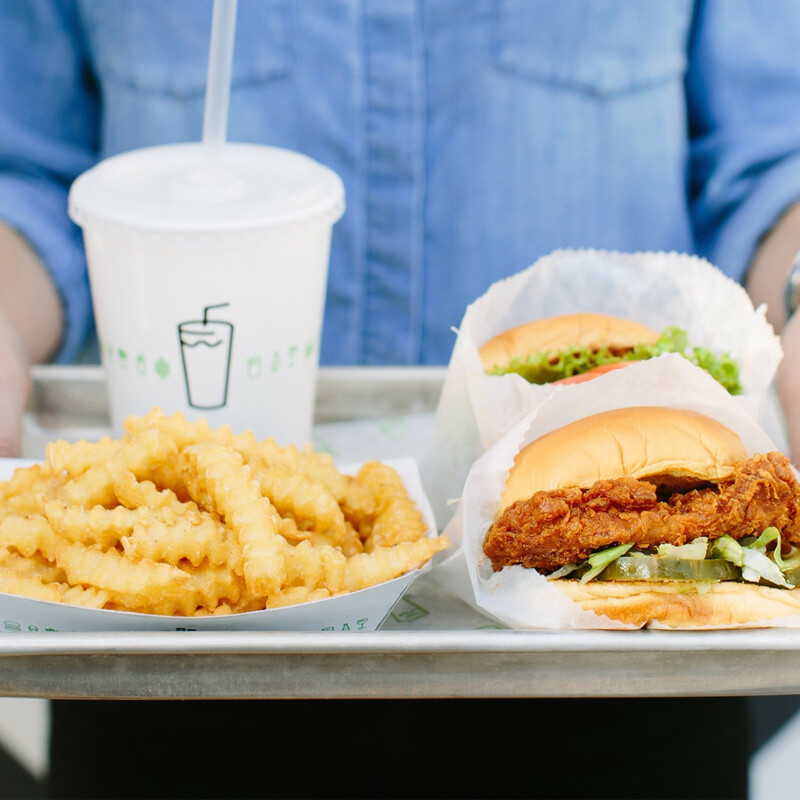 Dedicated spots for to-go order pickup will allow diners to retrieve their orders without paying for parking. The menu mostly matches The Galleria outpost. Signature items like the ShackBurger — a thin-patty cheeseburger on a potato bun with lettuce, tomato, and a swipe of mayonnaise-based ShackSauce — and the SmokeShack (bacon and chopped cherry peppers) are joined by the Texas-exclusive Lockhart Link Burger, which is topped with a jalapeno-cheese sausage from the iconic Texas barbecue joint Kreuz Market. Diners will find a new dessert; the West U-nicorn concrete features vanilla custard that's blended with unicorn bait cookies from Fluff Bake Bar, strawberry puree, and salted caramel sauce. The beer selection is slightly different, too. 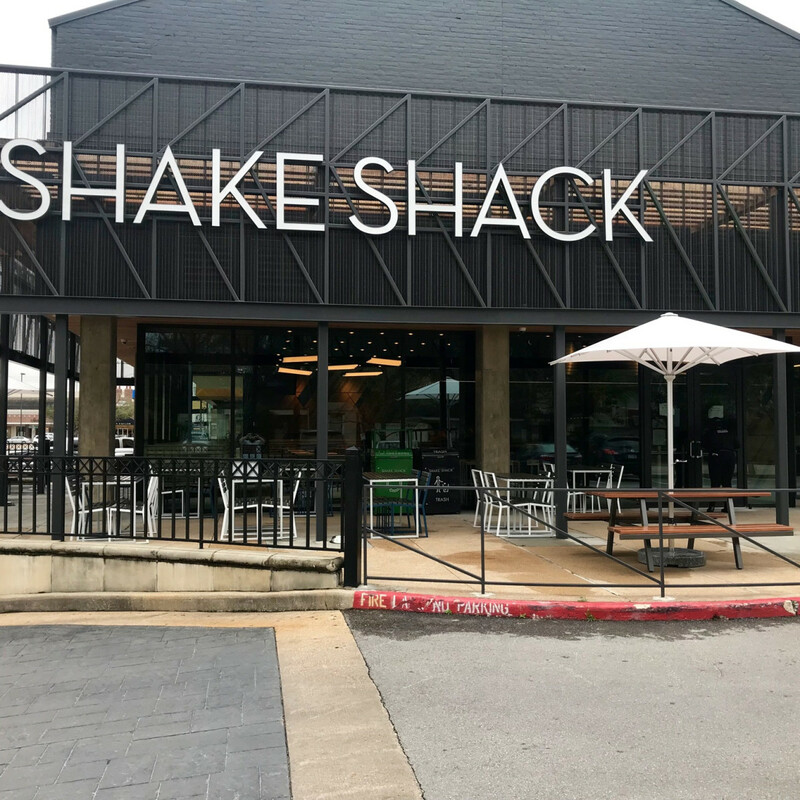 Finally being outside a mall should make this Shake Shack more accessible, which means it's likely to run the same sort of lines that Shacks in other locations do (or the nearby Hopdoddy does). Diners can skip the wait by ordering through the restaurant's app, which allows people to specify a pick-up time for their orders. 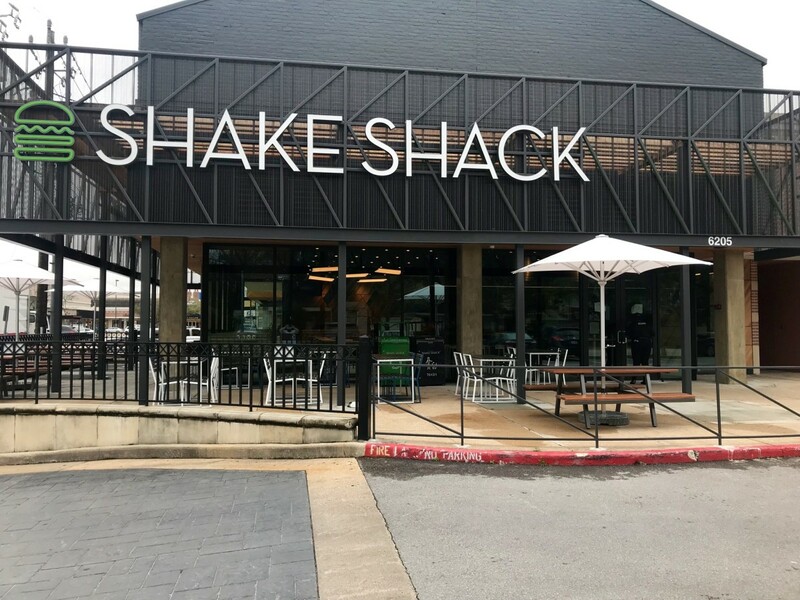 As for the future, Shake Shack area director Bryan Murphy confirms reports that the company has signed a lease to bring the burger joint to Montrose but couldn't confirm any timing for when the restaurant would open. 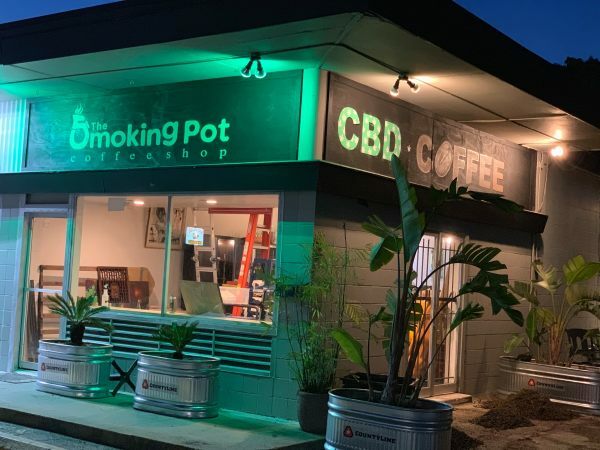 Murphy tells CultureMap that he doesn't know whether the location will keep the existing drive-thru, but he notes that the company doesn't have a location with one. 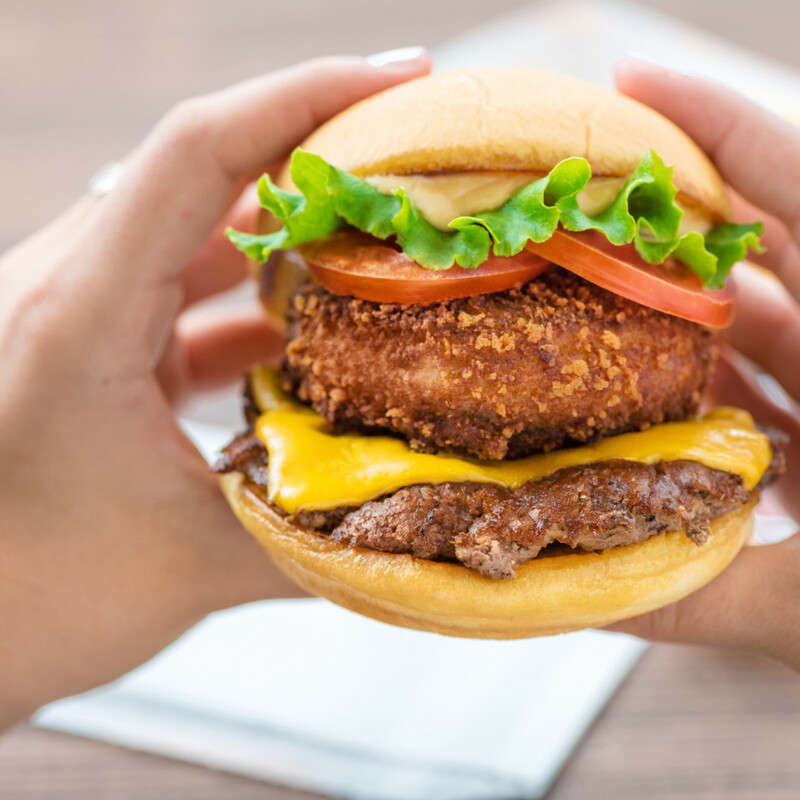 Since the company cooks every burger to order from raw ground beef, it takes between six and seven minutes to prepare, which is not conducive to an efficient drive-thru experience. 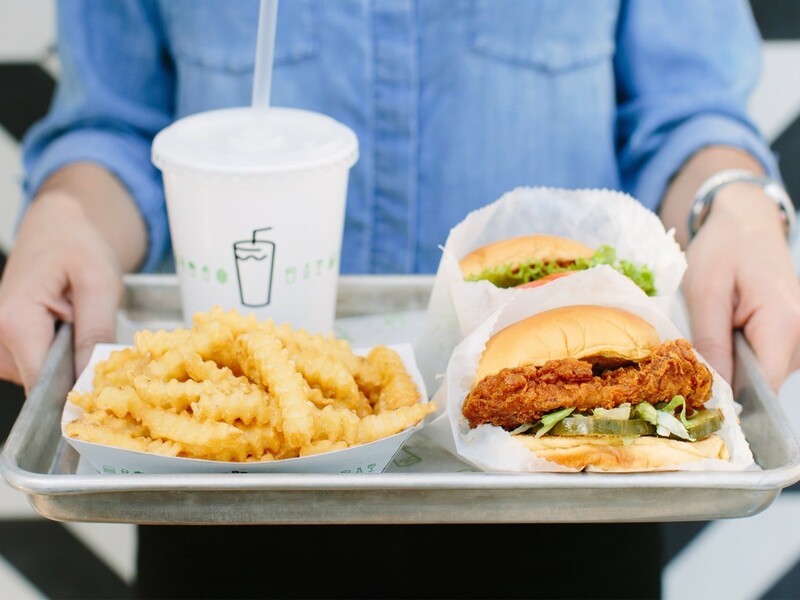 Still, with over 100 locations across the country and more than 50 international outposts, no one can deny Shake Shack's success. 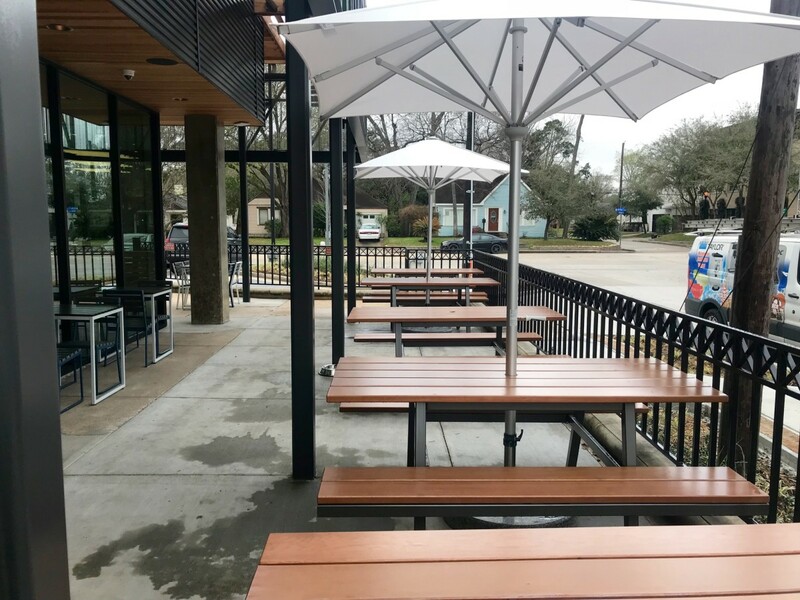 Adding a location in a walkable area like Rice Village should only further Houstonians' interest in all things Shack.